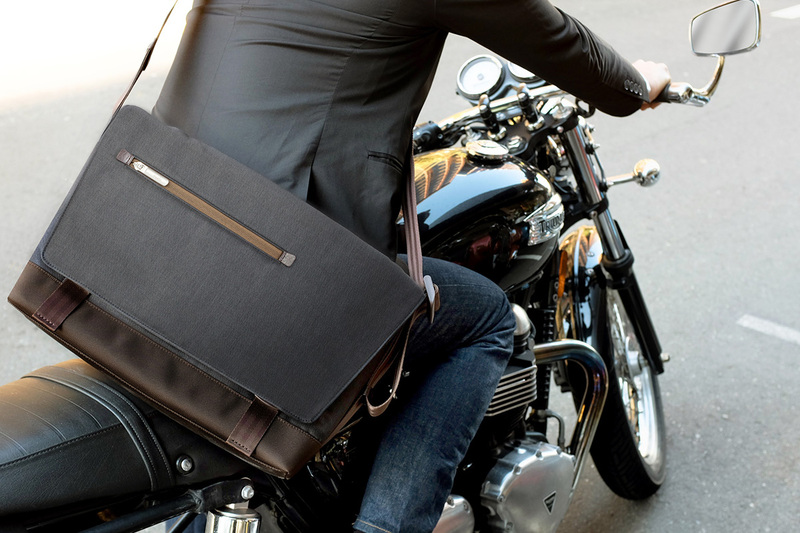 Reduce shoulder strain with our ultra lightweight, thoughtfully designed messenger bag - with room to carry laptops up to 15"". 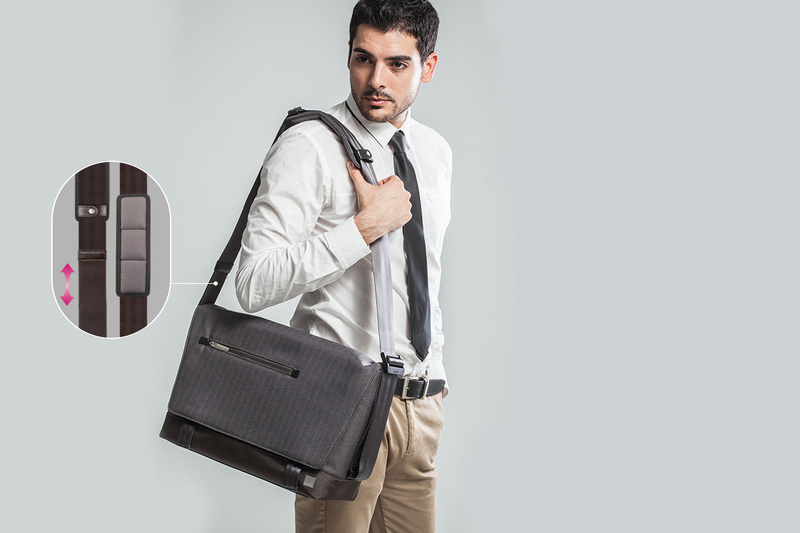 Carry all of your belongings with ultimate sophistication and uncompromising comfort. Proprietary ViscoStrap™ helps alleviate shoulder strain by up to 30%. 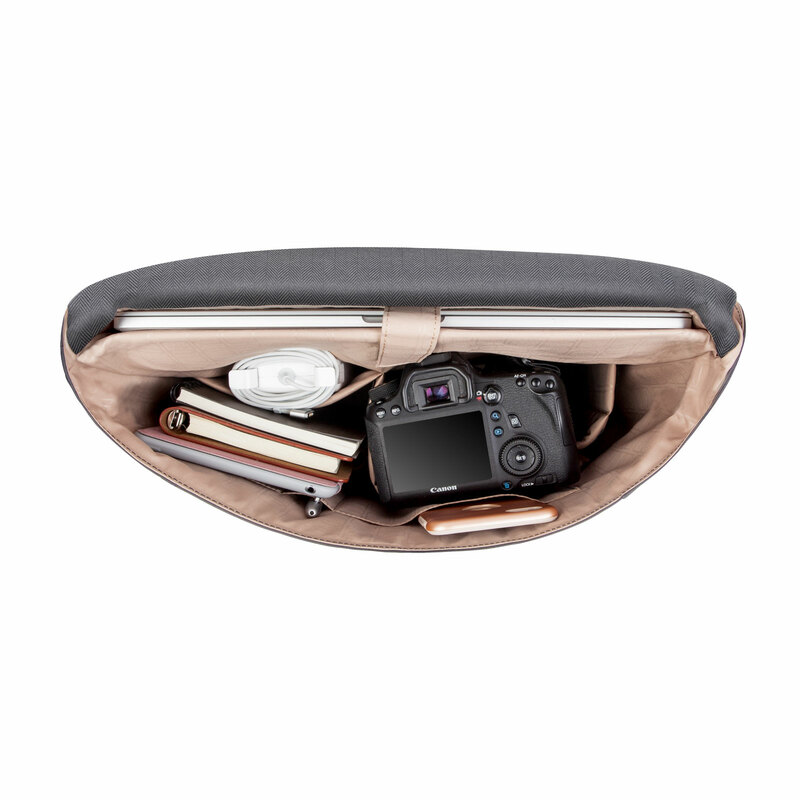 With extra slots for iPad/tablets, cameras or headphones. 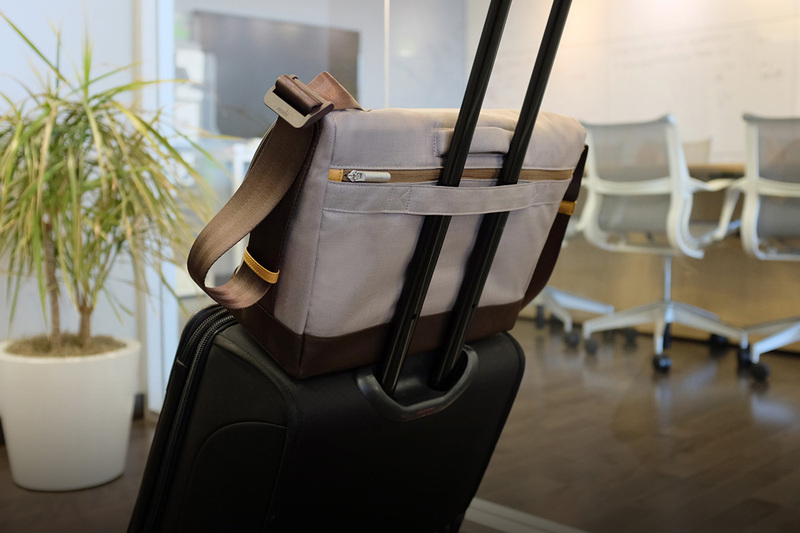 A rear trolley strap secures your bag to your suitcase. 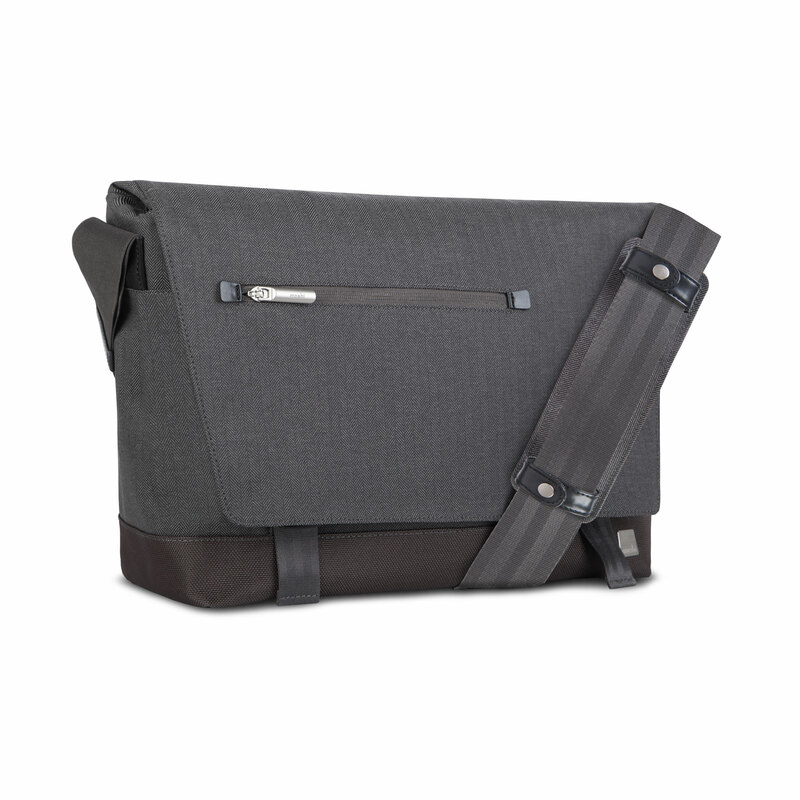 Crafted with ergonomics in mind, Moshi's Aerio messenger bag utilizes innovative materials and modern design to exude a stress-free attitude with a distinctive, stylish facade. 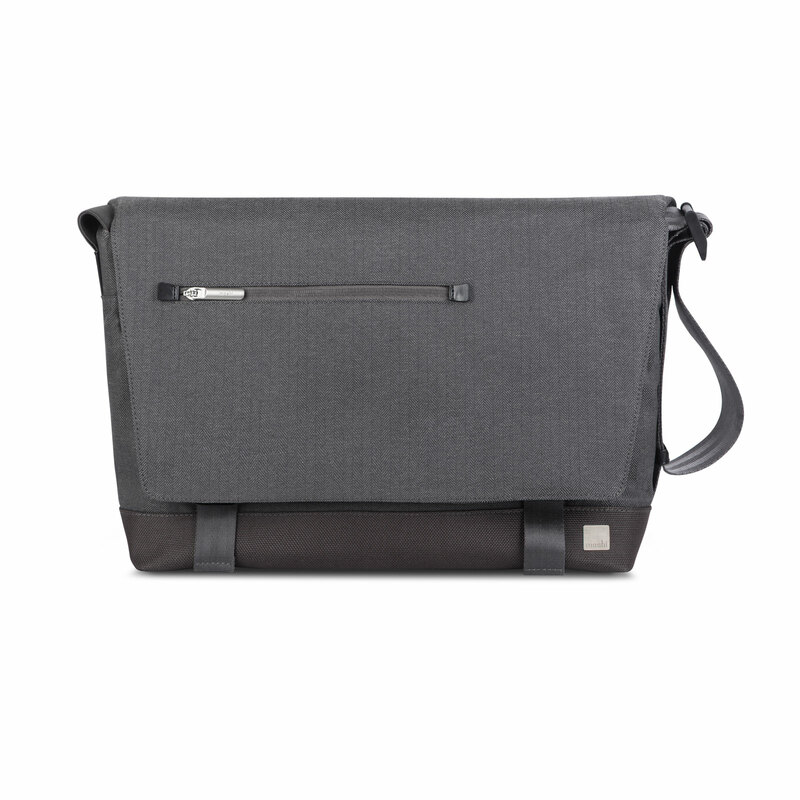 Made with premium water-resistant fabric and vegan-leather trim, this lightweight bag features dedicated cushioned compartments for your laptop (up to 15"), iPad, iPhone, camera and/or headphones. 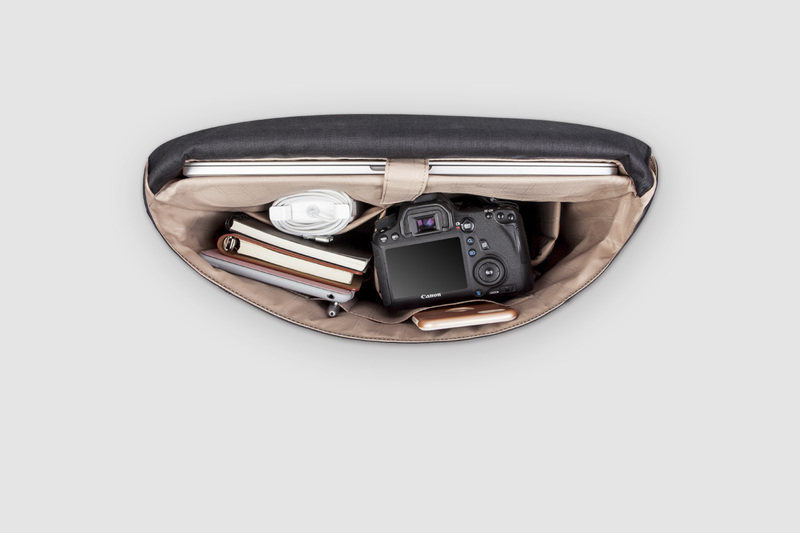 Aerio also includes plenty of pockets for other necessities such as chargers, cables, pens, and keys. 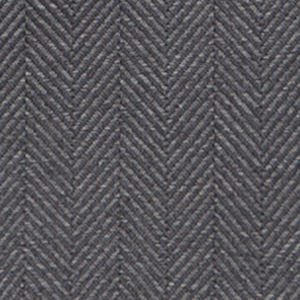 On the back, there's a full-width zip pocket for safe-keeping of documents and magazines. Even when fully loaded, Aerio's padded shoulder strap and proprietary ViscoStrap™ work in tandem to effectively mitigate shoulder strain. 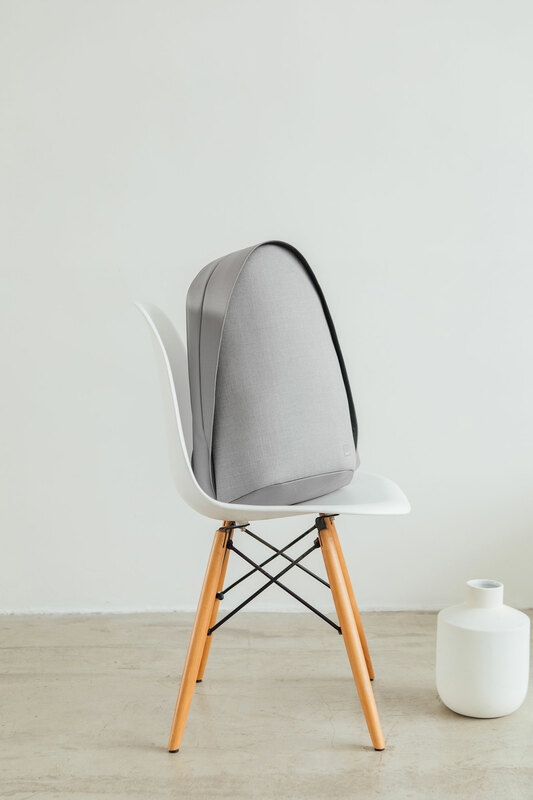 For longer journeys, a discreet rear trolley strap allows for easy and secure transport on rolling luggage. 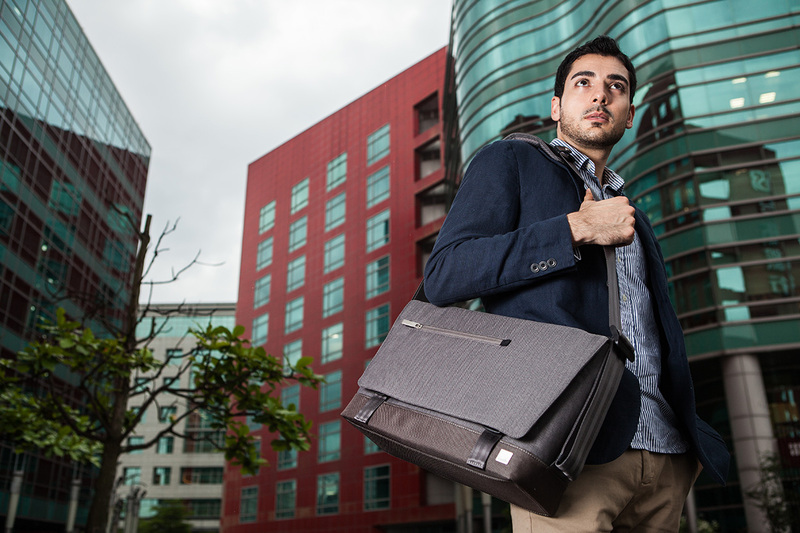 Whether you're on an overseas business trip or a daily commute, Aerio is the ideal bag to carry all of your belongings with ultimate sophistication and uncompromising comfort. 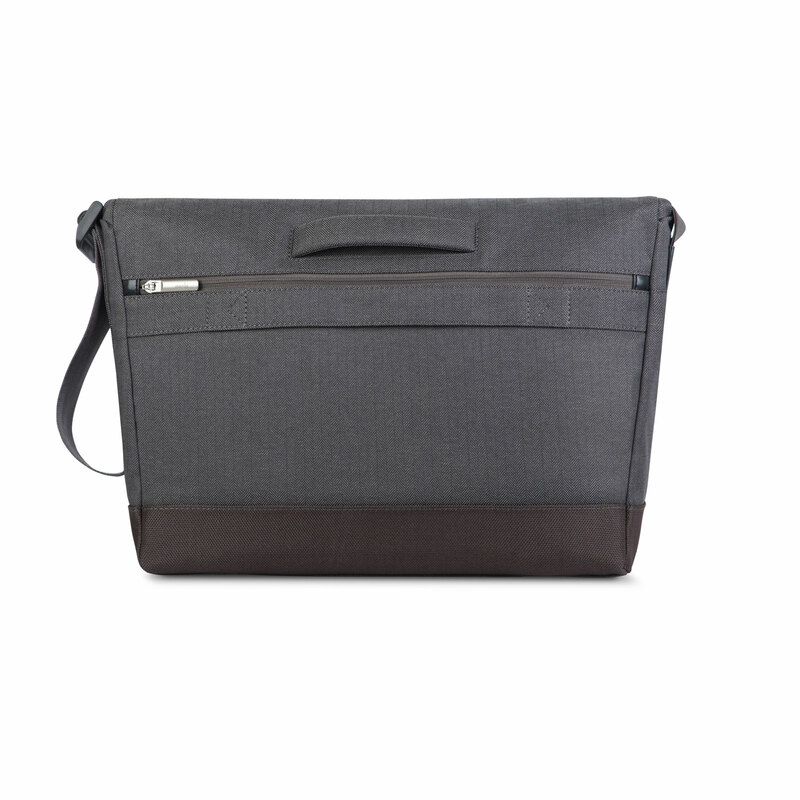 Padded compartments for laptops up to 15", iPad/tablets, cameras or headphones. 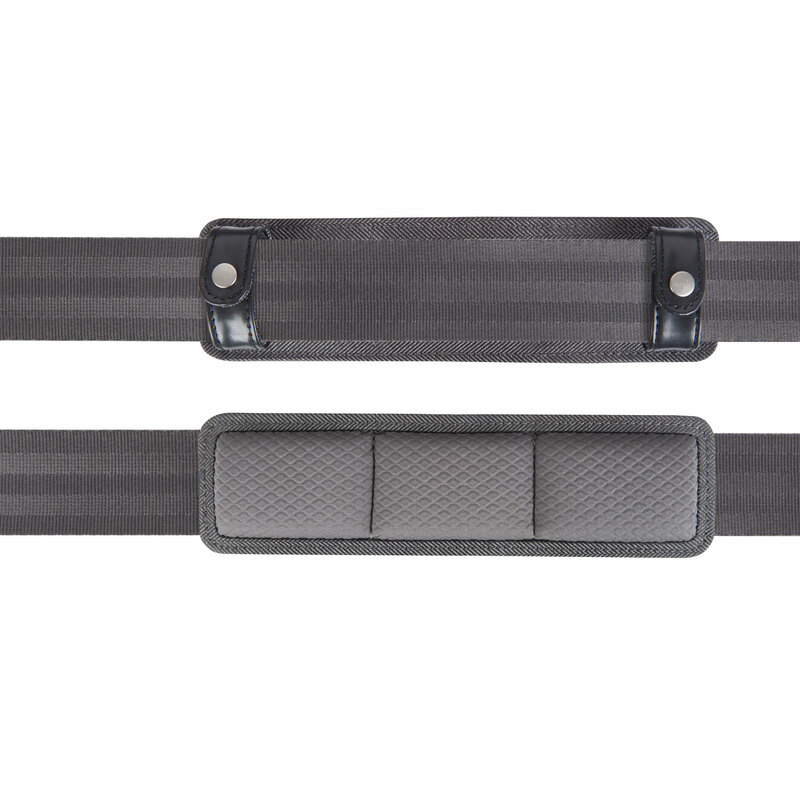 Rear trolley strap securely attaches bag to rolling luggage.